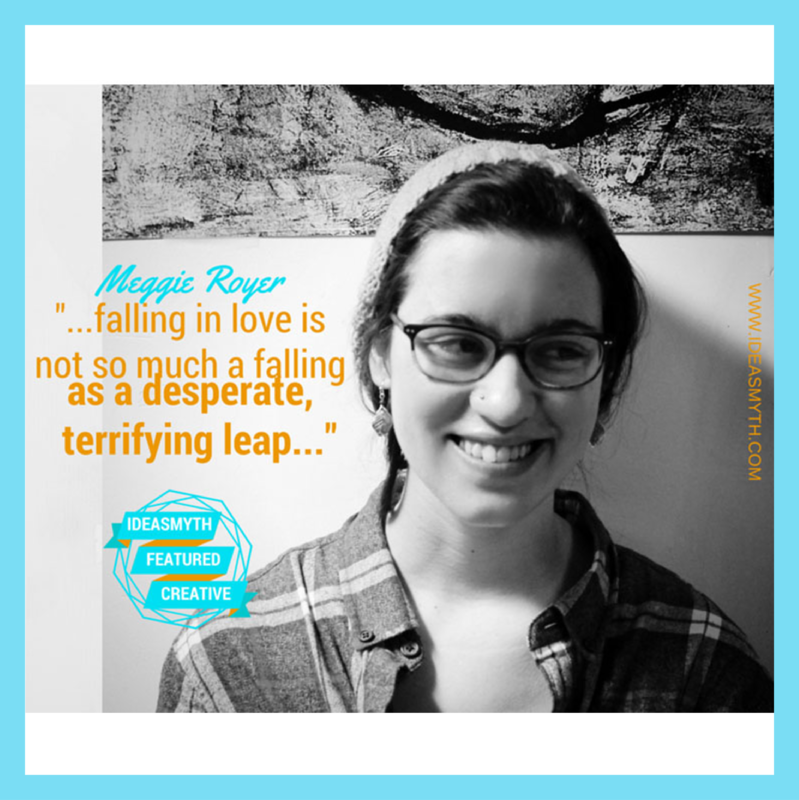 In the spirit of July’s Interdependence theme, this week’s Featured Creative is the inspiringly prolific poet, Meggie Royer. Looking through Tumblr’s “writing” tag sometime in 2013, I came across her blog, Writings for Winter, and have since fallen for her heart-on-your-sleeves-style writing that still manages to connect with cynical millennials. 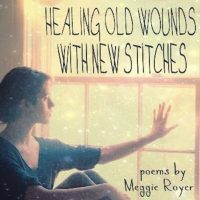 Meggie is a poet who’s fearlessly honest when tackling life’s most difficult emotional challenges. We thought her work perfectly captures a variety of intermingling alliances. Her third book, The No You Never Listened To, is now available via Words Dance Publishing, and her brand new online literary magazine, Persephone’s Daughters is accepting poetry, prose, and artwork focused on empowering female victims of abuse and degradation until July 8th (writers of all gender identities are welcome to submit). Throughout the week, we will feature some of our favorite poems from her blog, as well as her responses to questions about her work/creative process. every day, with the Irish cream that you liked so much. but every spot is covered. pressed into amber like insects. your skinny legs covered in its shedding fur. the chance; now it’s cropped close to my neck. the strands will sift to the floor like snow. 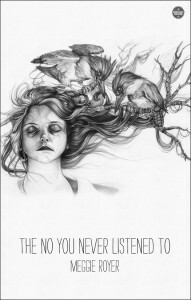 Buy Meggie’s latest book, The No You Never Listened To, here. You’ve noted on your blog that you write a poem every day. Has the response you’ve received on Tumblr helped you maintain such a disciplined writing routine? I do think it has, but it’s kind of like the devil vs. the angel. I know I have over a hundred thousand Tumblr followers and readers counting on my writing and waiting on me to post new material, which is in itself huge encouragement, as it greatly motivates me to keep writing as often as I can and keep posting. But at the same time, sometimes I do get frustrated with the responses I’ve received on Tumblr–not the positive responses, but the responses that make it sound like I owe my readers something, like I’m obligated to give them my writing. That aspect of Tumblr turns my writing into a stage show, into something I do or answer all their questions about because I feel pressured to, not because I genuinely want to. But overall the Tumblr response to my writing has helped me maintain a fairly disciplined work routine. ~~~Meggie Royer is a writer and photographer from the Midwest who is currently majoring in Psychology at Macalester College. Her poems have previously appeared in Words Dance Magazine, The Harpoon Review, Melancholy Hyperbole, and more. 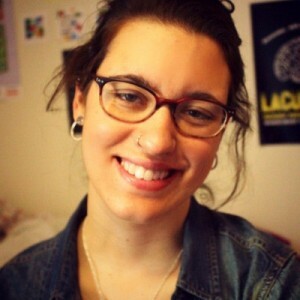 She has won national medals for her poetry and a writing portfolio in the Scholastic Art and Writing Awards, and was the Macalester Honorable Mention recipient of the 2015 Academy of American Poets Student Poetry Prize. Posted in Book Biz, Book Ideas, Branding Ideas, Communications, Featured Creatives, Good Ideas, Inspiration, Interdependence, Writing and tagged Featured Creative, Interdependence, Meggie Royer, Persephone's Daughters, poetry, The no You Never Listened To, Writings for Winter.